Virginia's coat is too small and hardly protects her from the frigid South Dakota winter. As Christmas approaches, all the children on the Sioux reservation look forward to receiving boxes full of clothing sent by congregations in the East. Virginia spots a beautiful gray fur coat but holds back tears as it is claimed by one of her classmates. Later, Virginia can't believe what Mama brings home. Based on an event from the author's childhood, this picture book captures the true spirit of Christmas. Willie Meadow lives with his mother, father, and brother in Blue Hill, Virginia. It’s peaceful there—a perfect place for growing up. And for the Meadow family, each season of the year holds something special. Like the puppies born to their beloved dog one summer, a fishing trip on a crisp October day, or the thrill of a rare winter blizzard. Delicate illustrations and evocative text in a book so full of warmth and charm that you might find yourself wishing you, too, could live in Blue Hill—or at least visit for a good long while. In this heartwarming story set in New York at the turn of the twentieth century, a stray cat appears at Mrs. Peachtree’s Eighth Avenue Tea Shop and becomes attached to the owner. Mrs. Peachtree insists the scruffy feline is not hers, but when the cat goes missing and Mrs. Peachtree searches for him in a storm, she discovers that the Eighth Avenue cat knows exactly where he belongs. On a dark, cold, and rainy night in April 1777, Sybil Ludington sets out on a journey to warn American soldiers that danger is headed their way. The British are coming! They have already attacked a nearby town, and it is up to sixteen-year-old Sybil to make sure that she reaches the American soldiers before the British do. With only a large stick to defend herself, and her horse, Star, for company, Sybil rides off into the perilous night and changes the course of the American Revolution. The true story of Sybil's bravery and perseverance are faithfully related by Marsha Amstel's appealing text and Ellen Beier's finely crafted illustrations. 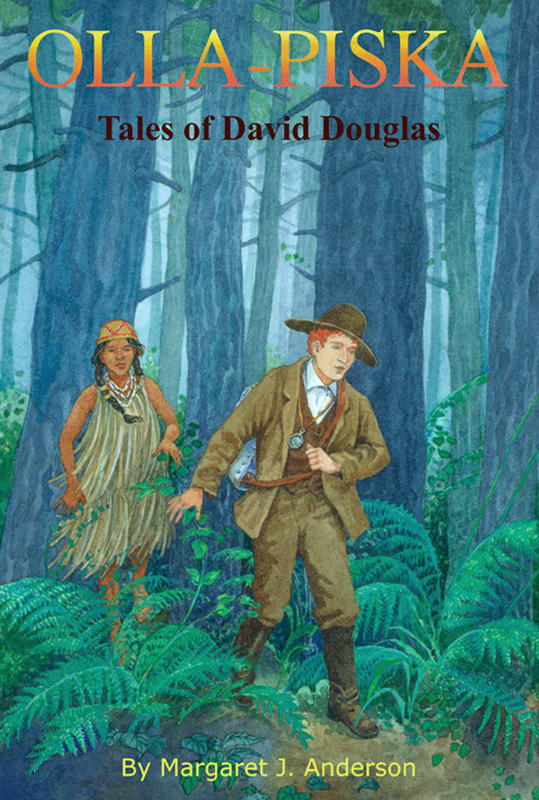 Douglas's student, Sandy, who has run away from home to join the Hudson’s Bay Company, learns about the plants that Douglas methodically collected and identified for science. He befriends T’Catisa, the daughter of Chinook Chief Cockqua, and they spend time with Douglas as he explores a new landscape. Olla-piska is a good introduction for young people and adults alike to one of the most important scientists and explorers to visit the Columbia country. Winner of the 2005 Stevens Literary Prize. A chronicle of the life and achievements of our Nation’s second First Lady along with her advocacy for women’s rights. More books can be found on my Amazon illustrator's page.